Weavers in KTR’s constituency have hugely benefited from TRS’s ‘free saree distribution scheme’. 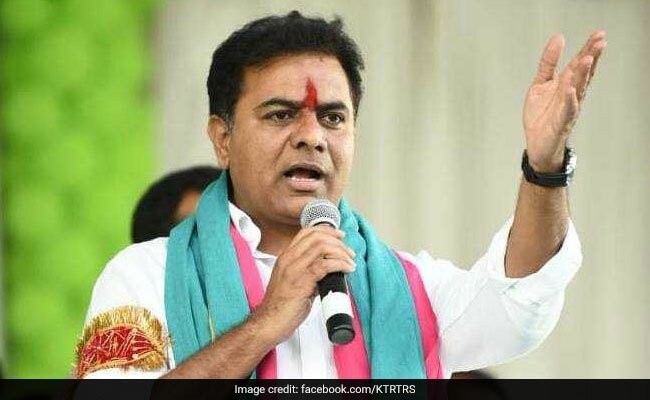 Sircilla: Amid the high-pitch campaigning in Sircilla – a constituency represented by KT Rama Rao, son of Telangana caretaker chief minister K Chadrashekar Rao, weavers are more concerned about the fate of a government scheme that helped them overcome the scourge of suicides and improve their earnings. There is a fear among some sections that the scheme could be scrapped if the ruling TRS party fails to retain power in the crucial December 7 assembly polls. The Telanagna Rashtra Samithi (TRS) government’s ‘free saree distribution scheme’ has boosted production since last one year, giving a fillip to the powerloom industry in this constituency. “There used to be approximately 90-100 weavers suicides in a year till 2013. The awareness camps, counselling efforts and the government’s schemes has brought a change,” said K Punnam Chandra, a consulting psychologist with Mindcare and Counselling Centre’s consulting pyschologist. Powerloom weavers fell into a debt trap as they gradually increased the looms from initial two to 16, hoping to earn more. Although the production increased, they could not find any market, resulting into high debt and stress, he said. Adding to their woes was low quality polyster they produced that fetched them only Rs. 5-6 per metre in the market. Weavers could not make payment to labours, Mr Chandra said. The stress of debt and lack of sleep due to working in double shifts led many of them to become alcoholic, he added. However, the scheme to distribute free sarees to the poor women, pension and upgradation fund have helped improve the condition of weavers in Sircilla, Mr Chandra said. In the first year of the scheme in 2017, the TRS government placed orders for one crore sarees, which was distributed to the women through ration shops irrespective of caste, community and religion. This year, it is planning to distribute 95 lakh sarees and placed orders for production. The weavers suicides have come down as labourers’ income has improved to Rs. 14,000-16,000 per month now, from Rs. 8,000-9,000 earlier, he said. “We don’t have fear of marketing now because of the government orders. We strongly desire the TRS comes to power,” Mr Narayan said and added that the business has affected by implementation of the goods and services tax (GST). For labourer Narsayya working with Warpin Textiles, the scheme has come as a boon as his daily wage has increased to Rs. 1,500 now, from Rs. 300-400 early. About 28,000 people, especially Padmasale caste, are dependent on the powerloom industry in Sircilla which has 2.22 voters at present. “Had such schemes were implemented 20 years back, my husband would have been alive today. He committed suicide as he was jobless because the industry was very down,” said R Latha, 44, a social worker working at the Mindcare and Counselling Centre after husband’s death. The Centre has set up suicide prevention teams in each weavers’ colony in the constituency and Latha visits door to door to create awareness and identify people who need counselling. “What I fear is that our weavers’ plight will go back to the square in the absence of government’s help,” she said hoping that whichever party comes to power in the state need to ensure the existing schemes meant for weavers continue.